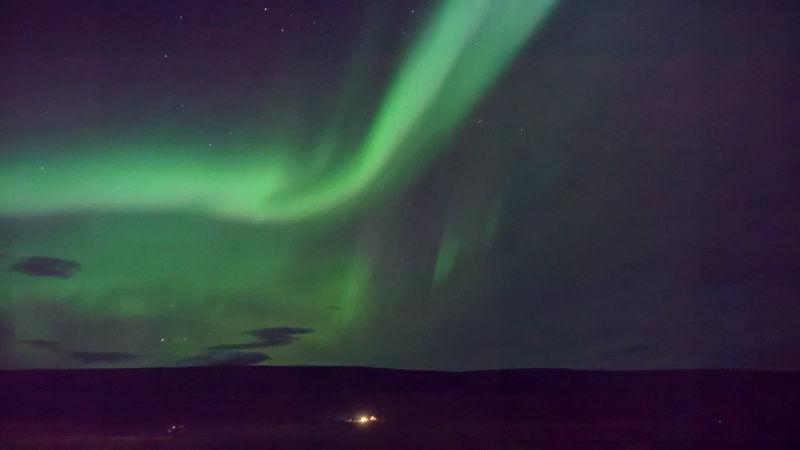 Continuing what has been a somewhat imaging-centric week on AAWP (that all stops tomorrow), in another in our popular camera phone tutorial series, I'm using a photo sent in by a reader, Jeff Appleton, who amazes with a photo taken on his Lumia 950 in Iceland. Taken in incredibly challenging light conditions. My series 'Anatomy of a Lumia photo' (here's #1) has proved popular, even though I cheated with the HP Elite x3 instead for #2. #3 had a lovely clock, #4 was all about framing, in #5, I got down and dirty with nature, in #6 I had a rosy dilemma to solve, and in #7 I took a satisfying low light snap in appalling weather. In #8, I got extremely close to an impressive moth, in #9 Andrew Elliott was in Budapest at night, in #10, I was shooting in early morning sun, in #11, I shot 'wide', with a little help from Panorama mode, and in #12 I kept repositioning and zooming until I got a water fountain just right. The idea of this series is to give you an insight into the thought processes that went into achieving each image, in the hope that it might inspire you to better photos too. Here's Jeff's shot, anyway. Click it to download or expand it to full 8MP resolution. "Thought you might be interested to see just how good the camera is on the Lumia 950. 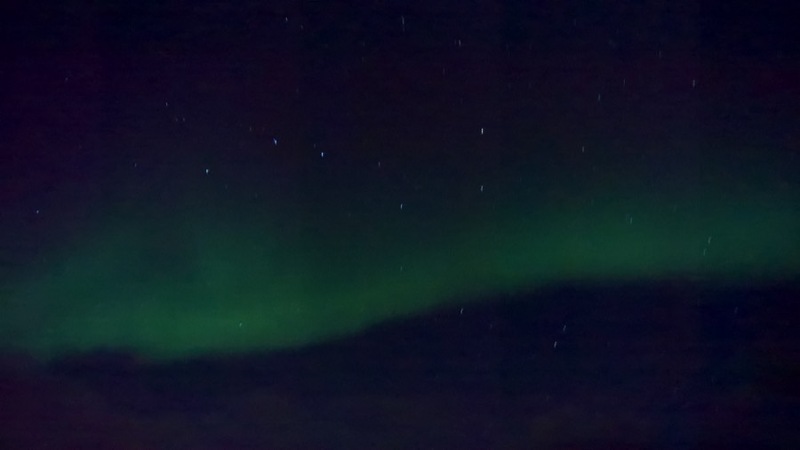 This photo is taken handheld of the Northern Lights. No one would believe I had taken it with a phone as people with DSLRs were not getting any results. They thought I had photographed one of the brochures. The location was on a farm in northern Iceland so it was pretty dark, which was good. Obviously it was pitch black outside, so the photo's grainy as I had set the ISO to 800. Focus was set to infinity and a two second timer to allow time to steady the phone after tapping the screen. I was bracing myself against an Icelandic fence to minimise camera shake. So the result is even more amazing when you consider what the phone had to do to get the pictures." Some good tips there - finding a really dark location (no extraneous lights to reflect off the air), bracing yourself, and setting a timer. Though note that 'infinity focus doesn't work on every phone as-is'! The shutter speed was left at auto and the exposure ended up being 3.5 seconds for the shot above! Jeff tried with an ISO of 400 but that would need a >4s exposure, which was not possible. What a great result. You can still see a tiny amount of motion blur in the stars, but amazing for a non-tripod shot of almost 4 seconds. You can see the motion blur more clearly here, in that the stars are more small dashes of light than points. Any handheld shot of more than about half a second, even with the insanely good OIS in the Lumia 950, is something of a lottery - any OIS mechanism is optimised for cancelling out very short hand wobbles - they can't handle movements of more than a millimetre or two and then only for a fraction of a second. I guess the bottom line is to use a tripod and to experiment - but I'm grateful for Jeff's handheld experiments and it shows what can be done with no extra equipment 'on the fly'. Comments welcome, have you taken any great long exposure shots that you're proud of?